Every once in a while one gets a glimpse of what used to be. To the imaginative eye even things that are old and worn out can hold the memory of something grand and maybe even the hope that life can be restored. The pleasant autumn breeze played with my hair as I sat on the rickety swing hanging from the old porch. Though the sound of traffic hurried on nearby, the overgrown evergreen trees spread their prickly fingers across the yard as if to say, “Don’t look to the road. 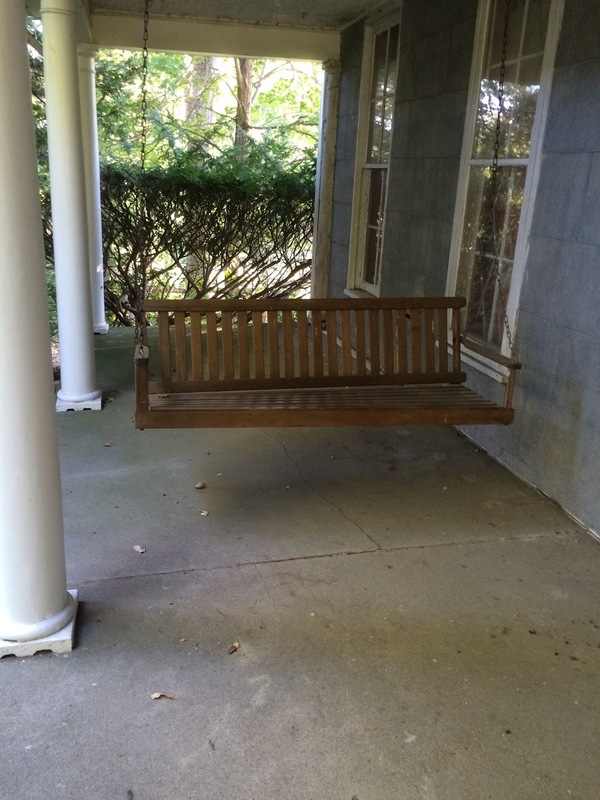 Just sit peacefully and rest.” Settling back in the swing I perused the old two-story home where I was holding an open house and imagined what this grand old place must have been in its glory days. After a busy day of bookwork at the office, I was glad when your father asked me to take his place at the open house. I was especially delighted when I discovered the beautiful old structure hidden behind the pines. Though the paint was peeling, the wall paper outdated, and the once vibrant rugs faded and worn, the original beauty of the two-story frame home spoke to me. Listening closely I could almost hear the laughter of children and the tapping of feet as young men and women danced across the wood floor of the spacious front room. Closing my eyes I could see the brilliant plumage of the peacocks I was told used to roost in the neighboring trees. It was all still there, only hidden under age and dust – just waiting to be restored. My reverie was broken as cars began to pull in the drive. Others with the same dreamy look ascended the steps and began their tour of days gone by. I could tell some were calculating the cost of restoring the once-grand place to it’s original beauty by the questions they asked and their searching looks. “Wouldn’t it be great if someone with the right talent and resources was able to purchase this place and bring it back to life?” I thought. The human race was once a beautiful and perfect part of God’s good creation. Sadly, through disobedience sin entered the world and the deterioration of mankind began. What was once the crown of God’s imagination – a creature made in His very own image – became tainted with evil. Pride, greed, lust, and every other vice began to corrupt. And just as wind, weather, and time damage the beauty of an old home, the spiral of sin drove mankind downward with the inevitable result of physical death and separation from God’s presence. But there is hope. From the moment a person puts his or her faith in Jesus Christ, God begins a work in their heart and life. Slowly and surely His transforming power restores His child to what he was created to be. Though there are still difficulties and trials along the way, we can be confident that the One Who began this good work in us will carry it to completion. Someday we will be fully restored to what we were meant to be and we will be with Him face to face. Only the future will show whether the right buyer can bring back the true glory of this old two-story home. But whether or not that happens, I am confident that the God Who has begun a good work in each of us when we put our faith in Jesus will finally complete His task. On that great day our lives will again fully reflect the One in Whose image we were made. Now that’s restoration!